Chuckit! Max Glow Ball Dog Toy is an extra large ball toy that is perfect for playing with your dog after dark. This ball is made both to glow in the dark and to bounce easily for compelling games of fetch. The ball also contains a hollow center with two holes that lead into the empty compartment. This design creates the perfect cavity for inserting treats or peanut butter into the toy to enhance playtime for your dog. The Chuckit! Max Glow Ball is built with a flexible, compressible material to ensure that it is durable. The shape of the ball also guarantees that it works with the extra large Chuckit! Sport. 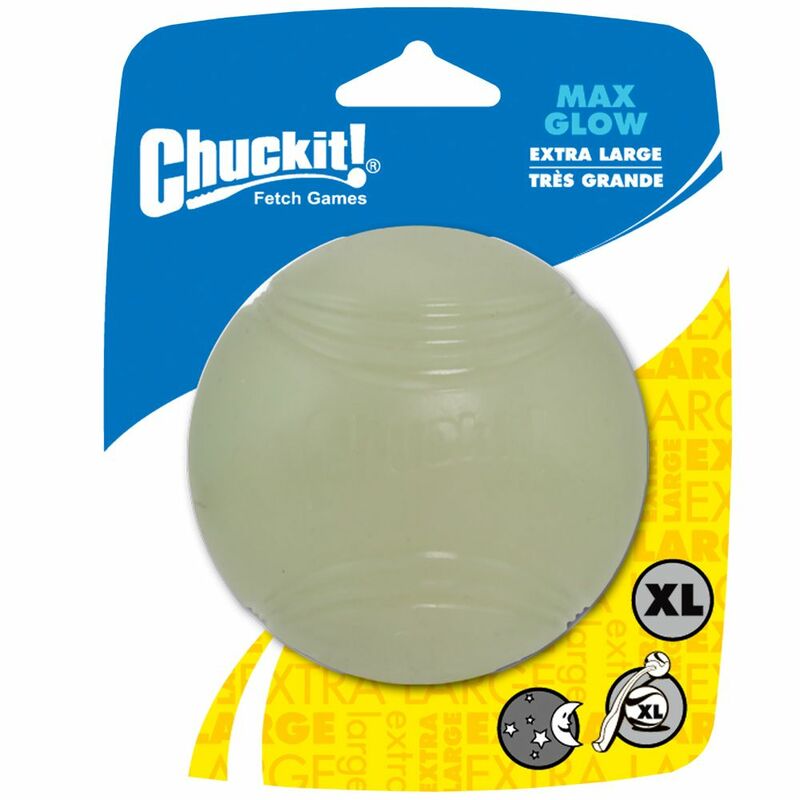 For a smaller version of the Max Glow that is compatible with the Medium Chuckit! Sport, check out the Chuckit! Fetch Medley. Order this toy for your dog today- you're dog will absolutely love it! WARNING! For Supervised play only. Know your dog and choose the appropriate size and type of toy to prevent choking or other harm. Inspect this toy regularly; if toy is damaged or if parts become separated, remove toy and parts as injury may result. Not a child's toy.